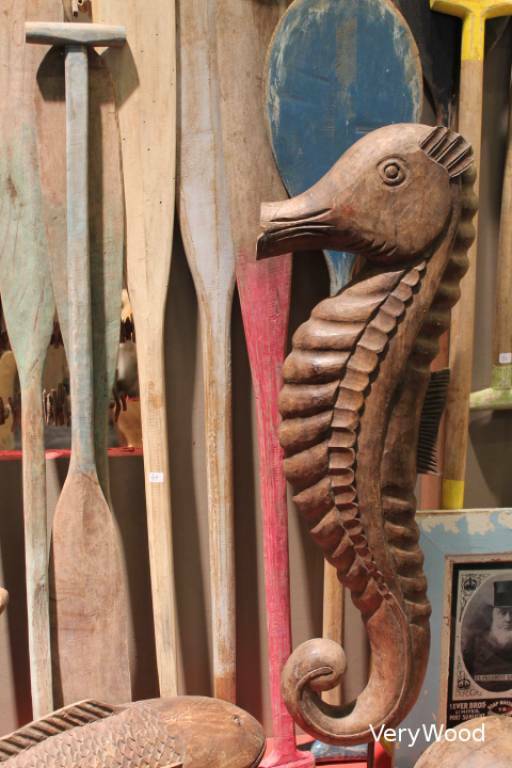 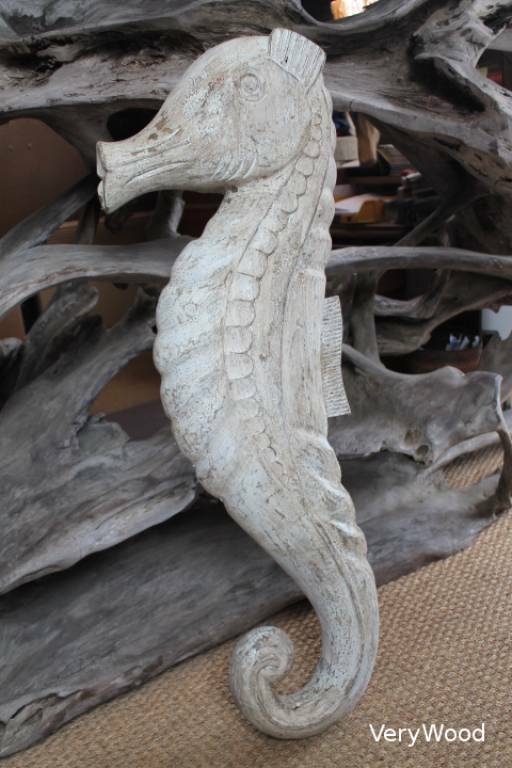 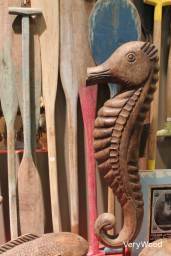 Ideal to complete your marine decoration, we made 2 sizes of wooden sea horses sculptured both sides. 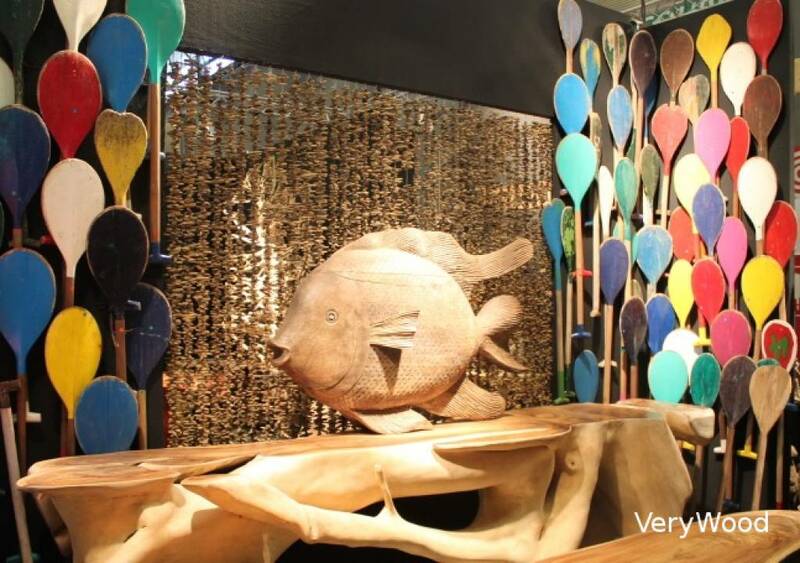 To suspend to take advantage of both faces or to fix on a base, or on a wall. 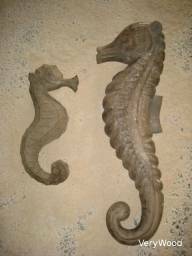 Our last photo shows you the example of a patina which you can realize.